We unlock the power of mobile technology to revolutionize the way translators work. With years in the language industry and powered by the world’s largest multilingual terminology platform, Stepes delivers very fast and quality translation and interpretation services in over 1,700 subject fields and 100+ languages. By automating translation tasks such as file analysis, TM leverage, transcript preparation and project management, Stepes gets your content translated faster and at a lower cost. Speed is important when ensuring your content is made available to international markets on time. Stepes links your content with thousands of quality translators in over 100 languages, meaning that multiple translators can be working on one target language at the same time. Having access to such a dedicated group of translators not only improves the speed, but also increases collaborative input. Stepes also leverages on TM (Translation Memory) which is an existing database of approved industry specific translations for improved efficiency and consistency. Machine translations can be great, but they often lack the quality and the natural touch that human translations offer. Stepes is connected to the world’s largest terminology database with over 100,000 pre-approved translators on TermWiki, each with their own specific target languages and fields of expertise. Stepes not only links your content with people, but we ensure your content is translated by the right people. With the steps taken to increase speed and productivity, and to humanize your translations, we have been able to create a platform that ensures both a competitive price and translation quality. We know human translation equates to high quality translations, but we also know that implementing technology into the mix can help drastically speed up the process. 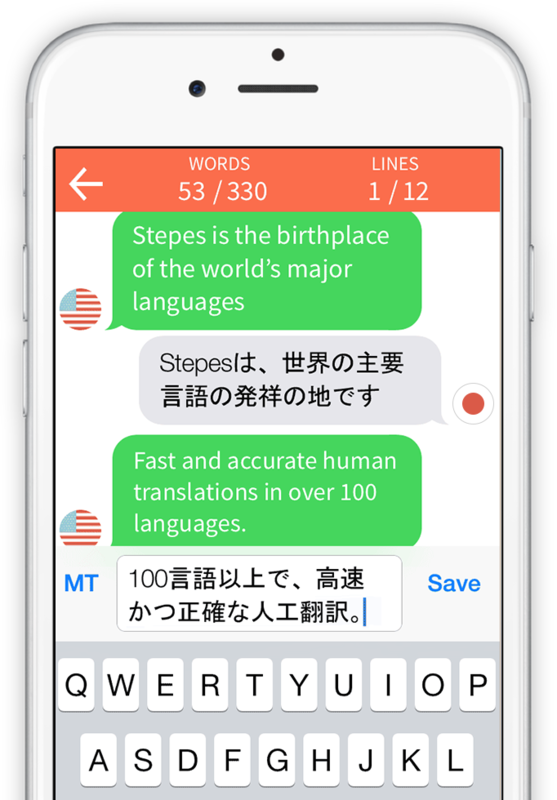 Stepes has an extensive database of Translation Memory (TM) that can be used by our translators for industry specific content. Using TM reduces the need translate existing approved terms, meaning less wasted time and more money saved. We don’t just pair your content with anybody. We use the thousands of approved TermWiki and Stepes translators with specific fields of interest and knowledge, to ensure that your content is translated by subject matter experts. The foundation of Stepes success is our attentive customer service. The care and satisfaction of our clients is our #1 priority and we are committed to always provide our customers with outstanding service and support. TermWiki.com’s has been the translation industry’s go-to place for product terminology management and qualified linguistic resources. Now Stepes harnesses these unique resources to serve our clients’ translation needs. With millions of terms translated in roughly 2000 industry fields and 100 languages, you are bound to find the subject matter expert that understands your technical jargons to get the job done. Simply put, Stepes offers the most competitive pricing in the industry. By automating many of the translation tasks such as pre- and post-processing, DTP and project reporting, Stepes lets you translate in the most cost-efficient approach. We understand the importance of speed and this is why we have invested in technology to continuously improve our translation productivity. By streamlining the translation process from project quotation to final delivery, Stepes gets your documents translated faster. Unlike other translation systems that hide their linguists identities, Stepes allows you to see which linguist is working on your translation job. Just click on the translator’s profile and check rating, CV and translation certificates. What’s more, you can check the linguist’s work on the Stepes platform (your dashboard) and see the live translations come in. Linguists not only meet Stepes’ performance standards, they meet your standards. After each job, you have a chance to rate your experience and leave additional feedback about your translator. Your comments will help to ensure that only qualified linguists get to work on your projects.